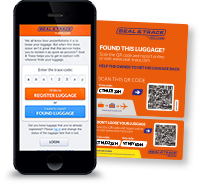 Using Seal & Trace, you are able to register your baggage with contact details. This can be done before traveling or even after your baggage has gone missing. Once registered online, your baggage will be traceable. 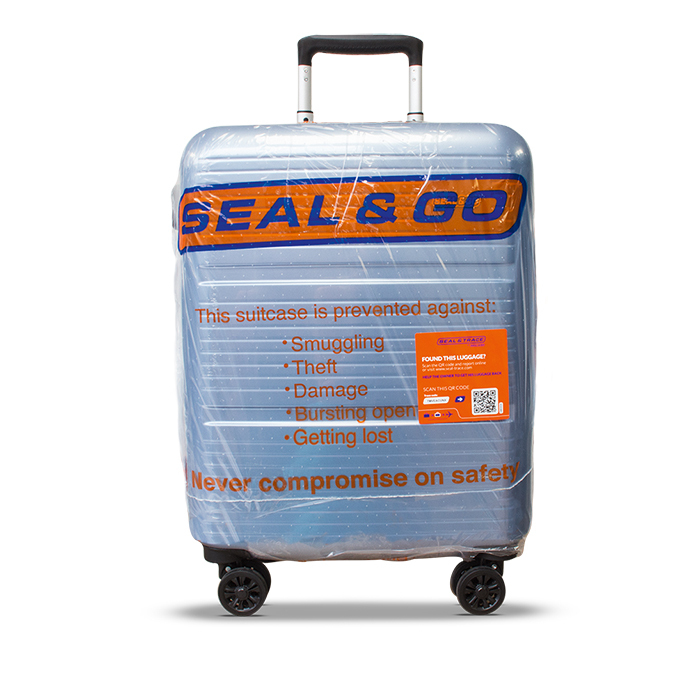 Seal & Go employees attach a sticker after sealing/wrapping your baggage. You will receive a separate Key Code and Trace Code to register the baggage online. 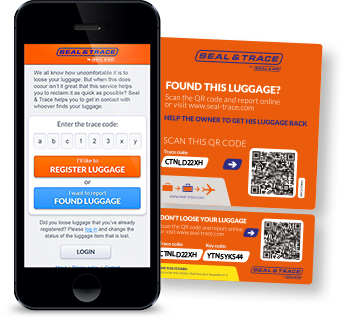 The sticker on the baggage-item tells the finder to scan the QR Code with a smartphone or log on to the Seal & Trace website with the unique Trace Code and follow the instructions online. The website will send an automatic alert to the owner’s mobile phone or email address. With the provided information the owner can get in touch with the finder and make an arrangement to pick up the lost baggage. QR Code makes registration easy. 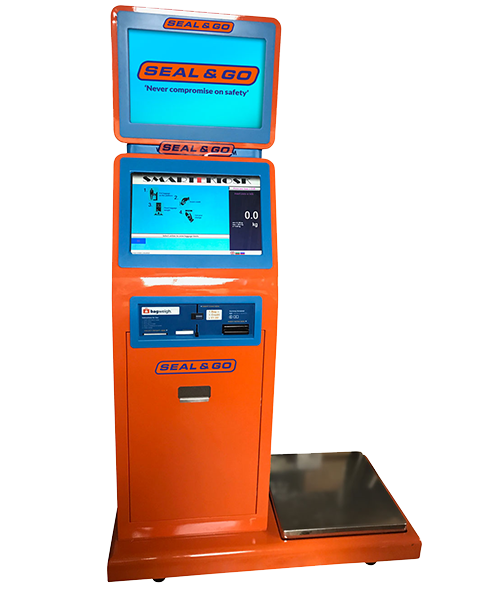 Did you know that you can weigh your baggage at the Seal & Go desks? At our baggage weighing scales you are able to check the airline baggage requirements of your flight. Our self-service baggage weighing scales are situated near the Seal & Go airport desk. For a small fee you will be able to weigh your baggage and avoid additional charges. If it is prohibited to carry your electronic devices as cabin baggage, we can help you. With Box & Go your electronic devices will be wrapped in bubble foil and placed in a box, which will be sealed. The box will get a Seal & Trace sticker so that your electronic devices will be traceable. This gives you the possibility to safely transport your electronic devices together with your other check-in baggage. We can also help you if you have excess baggage and have to check-in some hand baggage. Have you already checked-in your baggage, but forgot to put your Swiss knife or set of dart arrows into your suitcase? No problem! Just go to the Seal & Go desk and we will send it to your home address.